Hello lovelies, about a month ago I was plagued with the worst kind of acne I’ve ever experienced, I don’t know who I offended because I have never been someone who has acne troubles. The pimples on my face were as big as egg rolls and not only were they huge, they were painful as well. So painful! I don’t know if I was reacting to anything, to the best of my knowledge I didn’t start using a new product so the only explanation for my breakout was stress I guess. Wedding planning is stressful jare. Onychomycosis (treatment of fungal nail infection). So there’s no need to travel out of the Nigeria for the same quality of treatments you will get from the UK, US or anywhere in Europe. No need at all. Customer service was on point and during my consultation I met Dr. Bakare, coincidentally we went to university at some point together and it was nice to reconnect again. In fact, that made me feel at ease especially as we had quite a few things to catch up with. She explained the procedure she was going to do on my face and answered every question I had. Ah Dr, what is this machine? That face massage felt great! The blue stuff is just my blue eye liner running off. Can you see the acne? and they were painful! After the treatment I was given some product samples to take home with me and try out. They came on small cups but lasted about 2 weeks. Believe me, I followed the instruction religiously, wedding is not the time to be having craw-craw face. The products I was given was from the Clear Cell Line which is designed to fight acne, reduce inflammation, eliminate excess oil and purify the skin….exactly what I wanted! It also provides skin care for acne prone skin and truly oily skin types. So, did it work? I’ll let you take a look at my face, this was a few weeks later. I think about 3 -4 weeks later. It is not magic like the Dr. advised but if you follow the routine you can easily maintain a clear healthy skin. 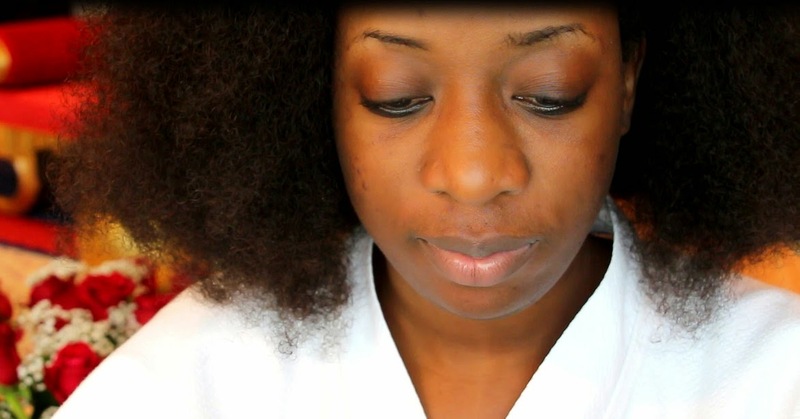 The benefits of the procedure I did was to make my skin glow and to remove dead skin. It worked! Can you see the breakout, they hurt!!! The big olejugbuma pimples have gone, but the scars are there. That one I can bear. 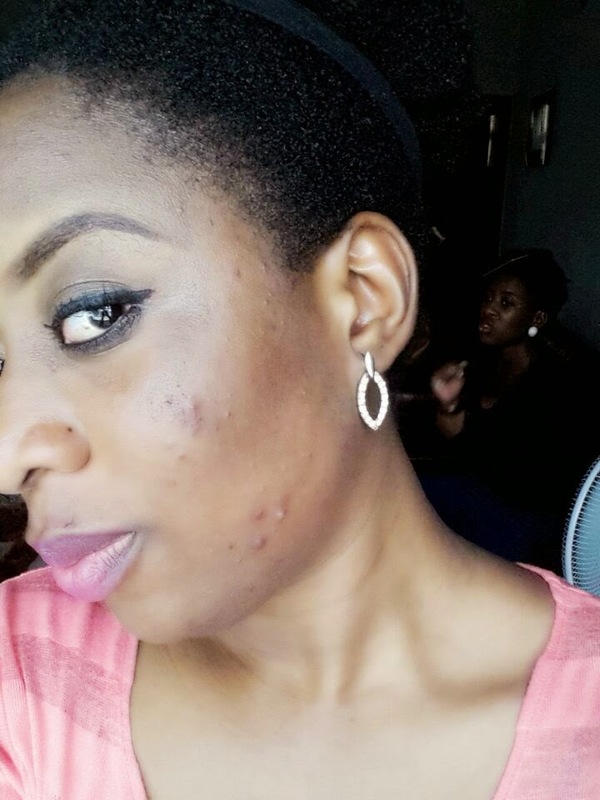 The best a makeup artiste can do for you is give you spotless skin with make up but if you have rock-like pimples, I doubt there’s much they can do about that. LOL. Thank God that was not my fate as my skin recovered right before the wedding…Thank God! Wedding Day: No spots! No photoshop! You looked quite stunning n gorgeous on that day. Having met you in our office, I must say you looked amazing. thanks for the info dear. hope their fees is affordable? You didn't tell us what you were charged? I have horrible acne...... are they expensive? We treat acne and we are affordable. What are their charges like? Are they affordable or more like break the bank? HI Tosin, we are affordable. Please. How much were u charged? Plz I have dark spot all over my body but the problem here is that am dark hope after the treatment I won't be light?